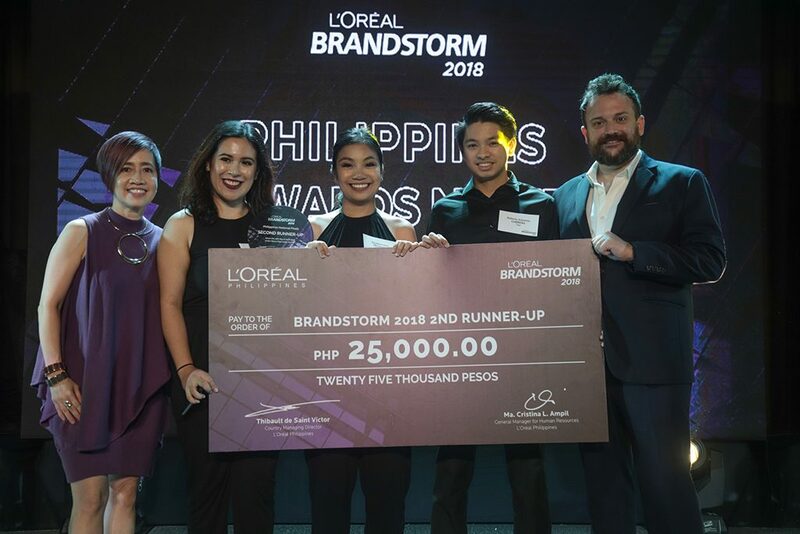 As L’Oréal pushes for a culture that trains individuals to be inclined and empowered in shaping the future of beauty, they continue to host events like Brandstorm, a global innovation competition exclusively for students and one of the largest beauty competitions in the world. It has been a platform for talented students in bringing out their skills, and the Philippines has held this competition since 2009. 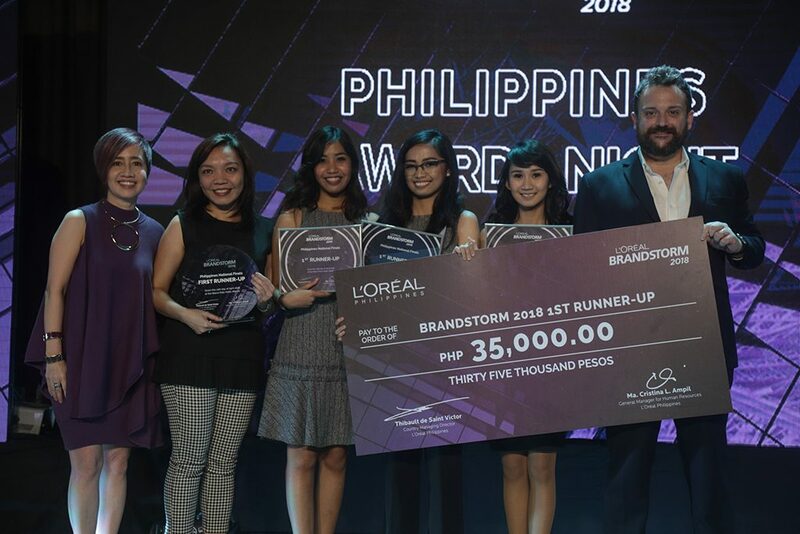 Brandstorm 2018 surpassed last year’s 1,500 sign-ups with more than 3,570 players from over 30 universities all over the Philippines. That makes the country the holder of the second biggest Brandstorm in the world. From more than 1,100 teams, only 24 were able to advance to the semi-finals last March 1. Top 8 teams were selected from them to battle it out in the National Finals held in Marco Polo Hotel in Ortigas last April 12. 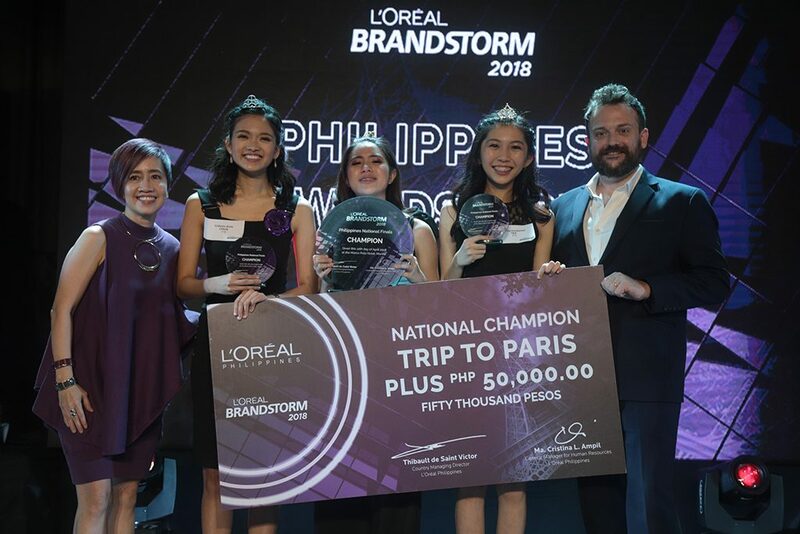 Out of the 8 finalists, Team C^3 from UP Diliman successfully took home the championship with a ticket to Paris to represent the country in the L’Oréal international Finals as they compete with other brandstormer all over the world. Following suit are Team Bellus from University of the Philippines Visayas (1st runner-up) and Team Tala from De La Salle University-Manila (2nd runner-up). Both teams win cash prizes and products.